Factory environments have a lot going on, and keeping everything running smoothly is very important. One effective way to improve safety and organization is to use floor markings. These markings are a low-cost option that provide a significant amount of benefit for the facility, and the employees. Understanding how floor markings are used, and how to get the most benefit out of them is important for any facility. 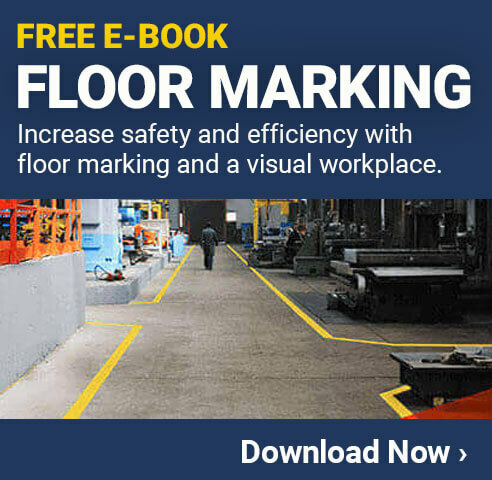 In many cases, a factory will have a safety manager work along with department leadership teams to come up with an effective floor marking strategy. Since floor markings can last for many years without needing to be replaced, it makes sense to put in the time and effort needed to get everything set up correctly. When choosing floor markings for a factory, there are quite a few options to be aware of. Different types of floor markings can be used for different things, and in some situations, it may be necessary to use more than just one type. Floor marking tape is one of the most popular options because it is inexpensive, easy to apply, and long lasting. Floor marking tape also comes in many different colors, and can have patterns printed right on the tape to help convey clear messages. When applied correctly, floor marking tape can last for years without any issues. In high-traffic areas, or areas where heavy machinery is used, there are heavy duty products that can ensure it won't peal up or have other issues. Floor marking paint is another option to consider, and it can be very effective in some situations. Applying paint does take more work, and in many environments, may require the facility to shut down while it is applied due to fumes or other issues. One advantage of floor marking paint is that it can be easily applied in different patterns to convey specific messages. Using stencils to make letters is a common way to benefit from floor marking paint. Paint can also be used in outdoor areas where there is a lot of rain or other elements that could impact tape, though there are types of tape made for these environments as well. Floor marking shapes and signs are a very popular option for conveying specific information. These are similar to floor marking tape in that they are applied with a strong adhesive, but they come in the shape that is needed. Floor marking shapes can be footprints to indicate where people should travel, arrows to give direction, or any number of other things. Floor marking signs are signs that convey messages, and can be applied to the floor. Things like stop signs, exit signs, and others can be used to effectively send a very specific message to those in the area. Adding floor markings to a facility will provide many advantages that make it a very cost-effective option. These benefits go beyond simply following the standards set forth by OSHA or other regulatory agencies. Floor markings can help to dramatically improve the organization of any factory. A company can use markings to identify where equipment should be stored when not in use, establish a visible boundary for work areas, and much more. The first regulation from OSHA is the simple requirement to have floor markings. 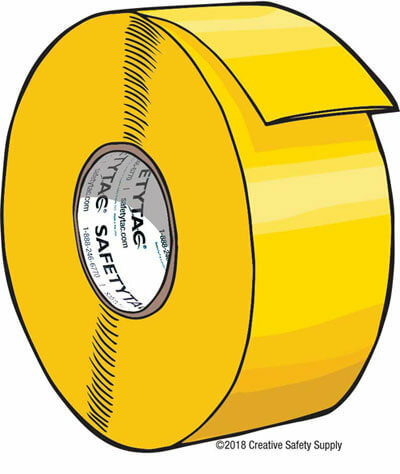 In their materials on handling and storage of many types of products, they state that permanent markings for both aisles and passageways should be marked. 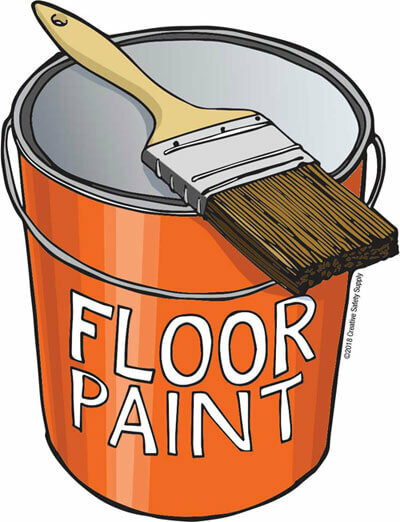 (29 CFR 1910.176) This sets the minimum requirement for where floor markings will be used. Most factories today will take advantage of additional floor marking opportunities beyond what is officially required. In the same OSHA standards referenced above, they also identify some requirements related to the floor markings that need to be used. Floor markings need to be a minimum of 2'' wide to help ensure they can be easily seen. Technically speaking, OSHA does not have any strict requirements on the colors used for floor markings. They do give some guidance in this area, and these types of guidelines may become requirements in the future. OSHA's standard for safety color codes (29 CFR 1910.144) is one of the best places to start for determine what colors to use when marking floors. By following these guidelines, factories are not only going to be ready for any future requirements from OSHA, but they will also be following a standard that is used by the majority of facilities. 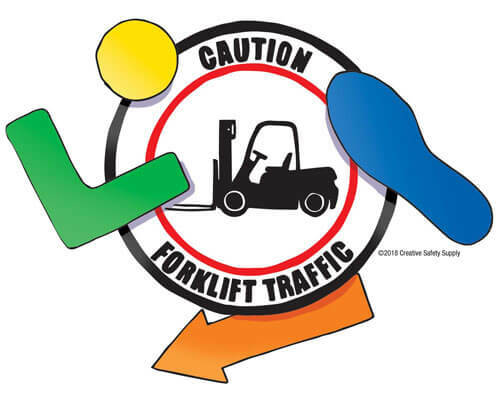 This will help improve safety by making sure employees know what colors mean regardless of where they are working. Factory environments can be very harsh, especially on the floors. People walk through the area, vehicles drive through the area, heavy objects are dragged over the floors, and much more. Floor markings need to be properly maintained in order to ensure they last for a long time. Fortunately, floor markings are made to be durable, and can be cleaned and maintained using most normal products. Maintenance teams can wash the floors to keep these markings clean and visible. In the event that the tape or paint starts pealing up, they can often be pressed back into place. Should the damage become extensive, it can be pulled up in the area and replaced quickly, easily, and affordably.